Join us at Riley’s Farm each Saturday for Adventures in the Old World and experience life in the 18th century! Each Saturday from 10:00 AM – 3:30 PM we offer our tried and true farm favorites, so you can hone your skills as an archer or increase your marksmanship with a tomahawk throw all year long. 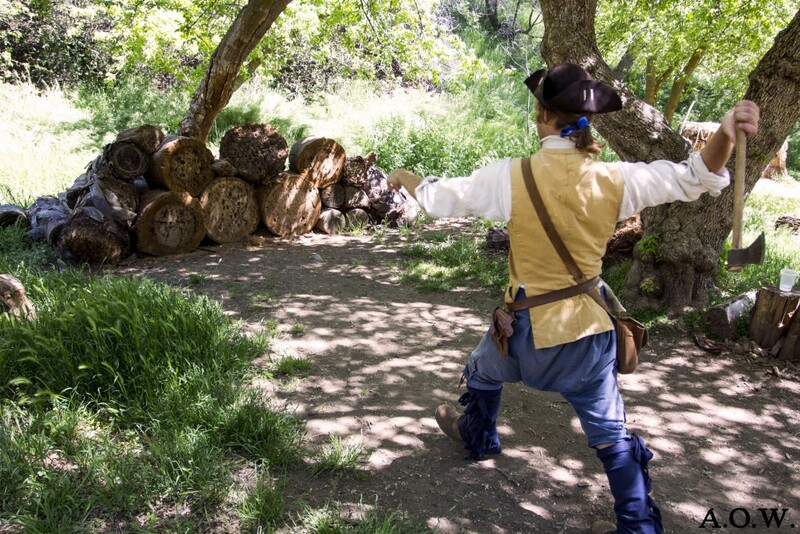 We’re also expanding our Saturday offerings as each month now features a new specialty focus and challenge in the life of a colonist during the American Revolution. This February, try your hand at “Wool to Woven” – utilizing raw wool, cleaning, dying, and weaving it into your own creations. Later this year, you can live out the day as a Minuteman and discover the weapons and camp life of the early American. There’s something new for the whole family to try all year long. Adventures in the Old World will bring you closer to the lives of our forefathers! Join us for our favorite Adventures in the Old World from 10:00 a.m. – 3:30 p.m. Try your hand at exciting outdoor activities like tomahawk throwing and archery (ages 8+), hand-dip your own candle, and witness the art of blacksmithing in the 18th Century. Adventures in the Old World (AOW) from 10:00 a.m. – 3:30 p.m. Regular A.O.W. occurs all day. Admission to faire is required. 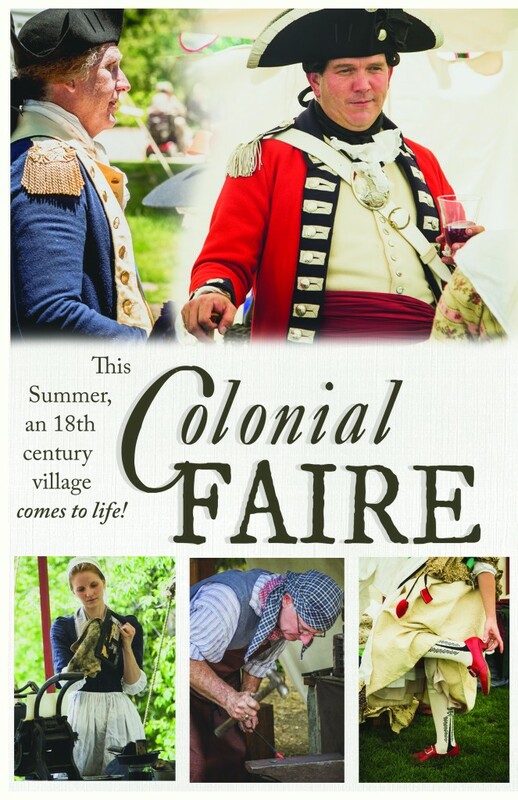 Join us for our Annual Colonial Faire aimed at entertaining and educating the public about life in the American colonies in the late 1700’s. The Township of Chesterfield comes to life with the hustle and bustle of tradesmen, farmers, soldiers, and true 18th century culture. Don’t miss Riley’s Farm’s presentation of a bustling colonial village at its finest! It’s October, and here on the farm that means Harvest time! And in the midst of your cider sipping and apple picking, join us for our favorite Adventures in the Old World from 10:00 a.m. – 3:30 p.m. 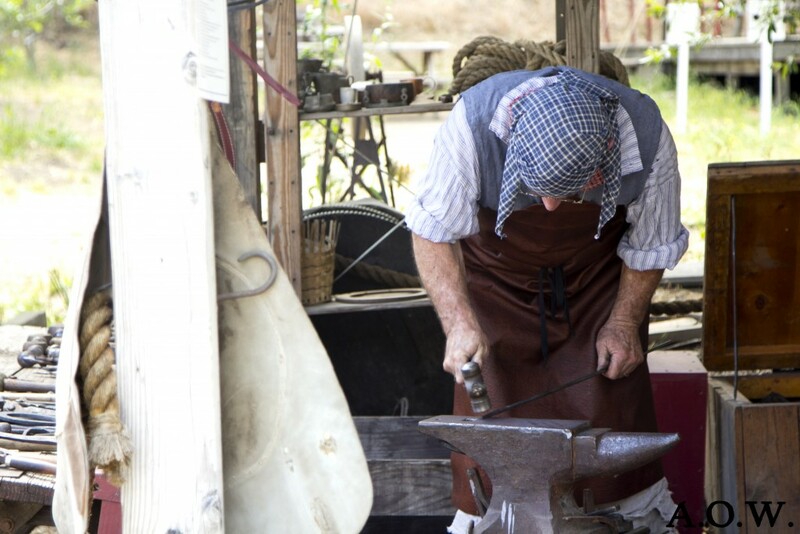 Try your hand at exciting outdoor activities like tomahawk throwing and archery (ages 8+), hand-dip your own candle, and witness the art of blacksmithing in the 18th Century.